What is the triangle design for a kitchen? Traditionally, kitchens have been designed using an imaginary straight line drawn from the center of the sink, to the center of the cook top, to the center of the refrigerator and back to the sink. In fact, the National Kitchen and Bath Association has certain guidelines so that foot traffic is minimized within the kitchen triangle work area. This idea works well in smaller kitchens and in those where typically one cook is at work at a time. But, today's larger kitchens can accommodate workstations for prep, cooking, storage and cleanup areas. These workstations are centered around a major appliance, instead of the triangle concept, to maximize functionality in that particular area of the kitchen. The workstation layout also allows for several cooks to work at one time, which is often what happens in today's busy households. How do you envision using your workspace? 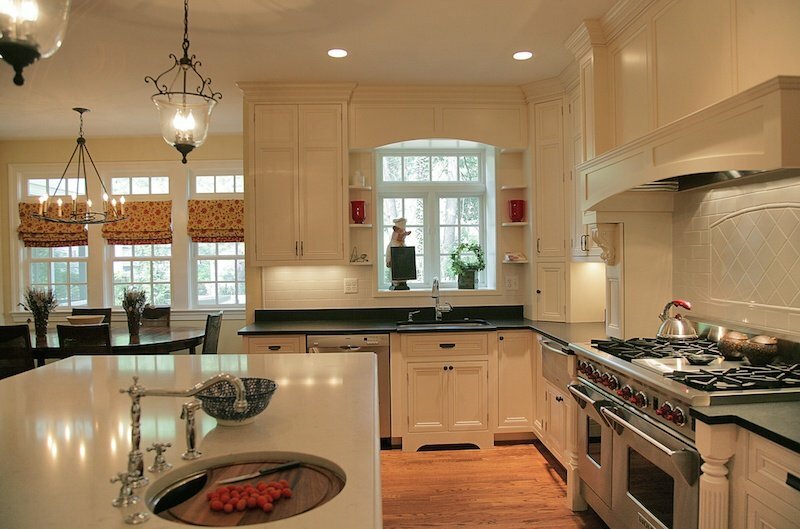 There are many styles to choose from when it comes to kitchen cabinetry. Beyond the beauty of the style that you choose is the functionality of the cabinetry itself. Think about utilizing every available space in your kitchen. Are there corners that will allow for a lazy-Susan inside a cabinet? Rollout trays in base cabinets make it easy to see what items you have stored behind others. Vertical dividers in a narrow cabinet are the perfect place to store your larger trays and cookie sheets. Wastebasket holders in a cabinet, including a recycling bin, keep your trash out of sight. What would you like to store closest to your stove? Your refrigerator? Your sink? If space allows, a walk-in pantry in your kitchen is the ideal place to store all of your food items, and sometimes, extra cookware. 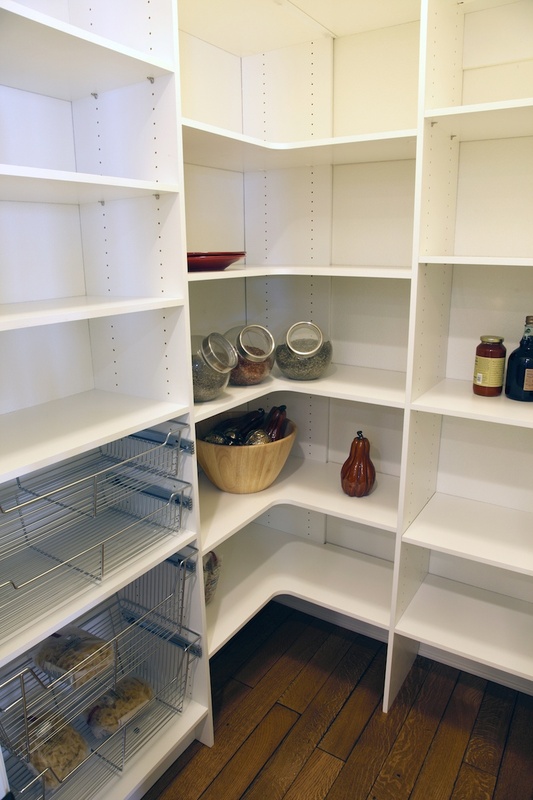 Customized shelving and bins can be installed to best suit the way you will use your pantry. Installing electrical plugs inside your pantry will enable you to plug in a rechargeable vacuum or your kids' computers at night. What else would you like to store in your pantry to avoid kitchen clutter? A kitchen island is a great place for food prep, informal seating and extra cabinetry for storage. 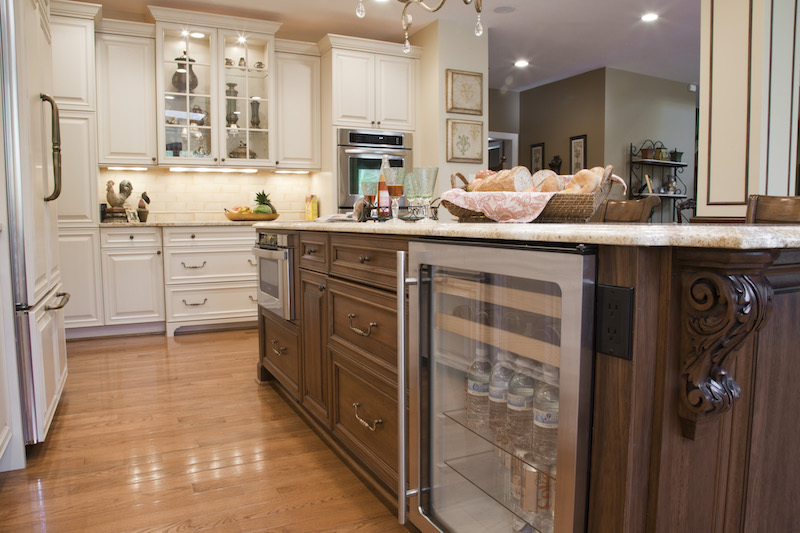 An island can also hold a second dishwasher, beverage center, prep sink, warming drawer or microwave. There are many ways to design a kitchen island: a flat countertop, varying heights of countertops, a semi-circle or a rectangle. Your kitchen island should complement the overall design of the rest of your kitchen, and remember to leave at least 42 inches of space around it for traffic flow. The proper lighting is crucial to the functionality of your kitchen. Different types of light sources will provide the necessary balance. Task, ambient, accent and decorative lighting should work together to create the perfect well-lit kitchen. Where will you be prepping your food? Task lighting will be important there, for sure. Planning your new kitchen may seem overwhelming, so working with a professional homebuilder whom you trust is a must. Discuss, in detail, how you plan to use your kitchen and how you want it to function for your family. Be open to suggestions from your professional homebuilding partner. The best ideas come from collaboration and thoughtful planning. 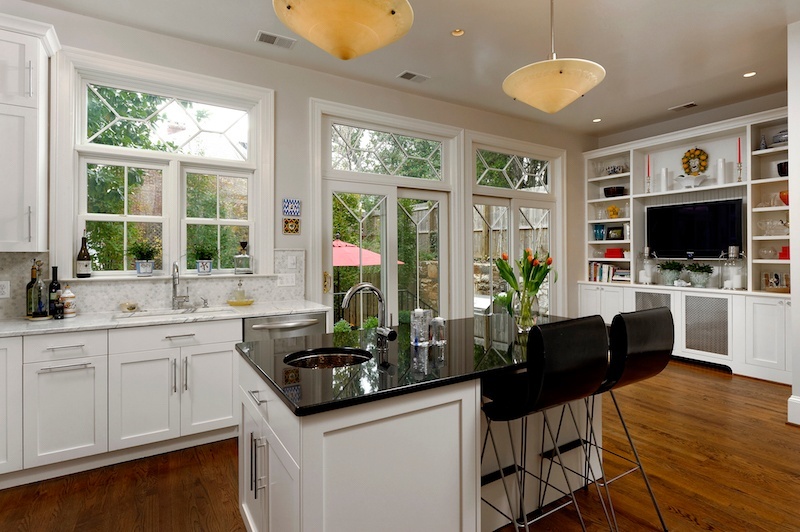 To see design ideas about how to make your kitchen fit your personal style, click here. And, click on the icon below to receive our eBook entitled "Creating Your Ideal Kitchen." It is full of great tips and suggestions to help you create the kitchen of your dreams!